This is one speech POTUS isn't ready to give. Malia Obama’s upcoming high school graduation has the President and First Lady experiencing in an emotional flux. The 17-year-old first daughter will be graduating from Washington, D.C. private school Sidwell Friends in May, and during a stop in Detroit on Wednesday, ABC News reports POTUS was overheard saying that he doesn’t know if he’s ready. “I’m going to be wearing dark glass…and I’m going to cry and sit there,” he said. The President said he had turned down an invitation to be the school’s commencement speaker for fear he’d be too overcome with emotion to deliver a speech in its entirety. During another stop in Baton Rouge, Louisiana last week, POTUS shared that he didn’t even want to consider the idea that she’s leaving home for college. 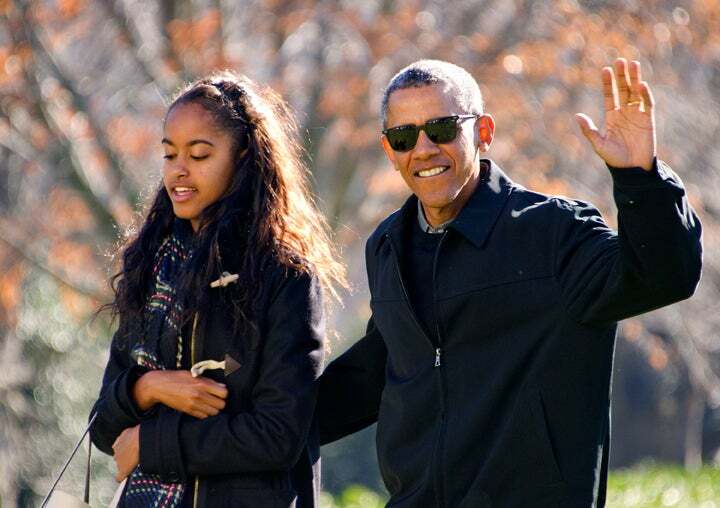 Malia is expected to attend college in the fall. No word yet on which college she has chosen. There’s never a right time to say, goodbye. We get it, POTUS!